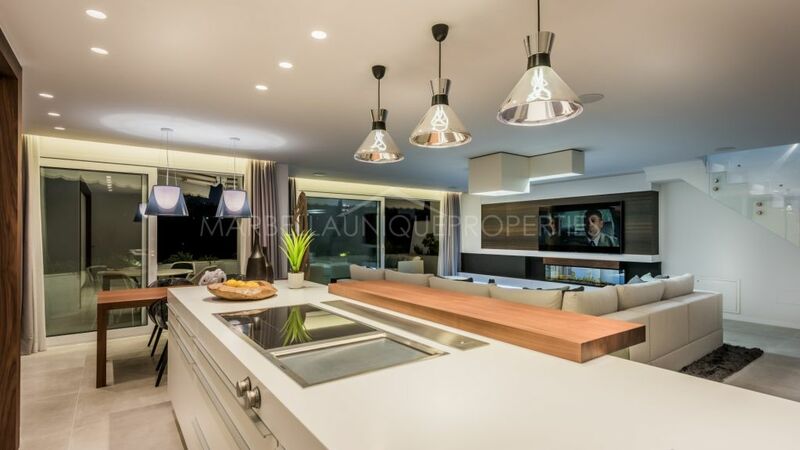 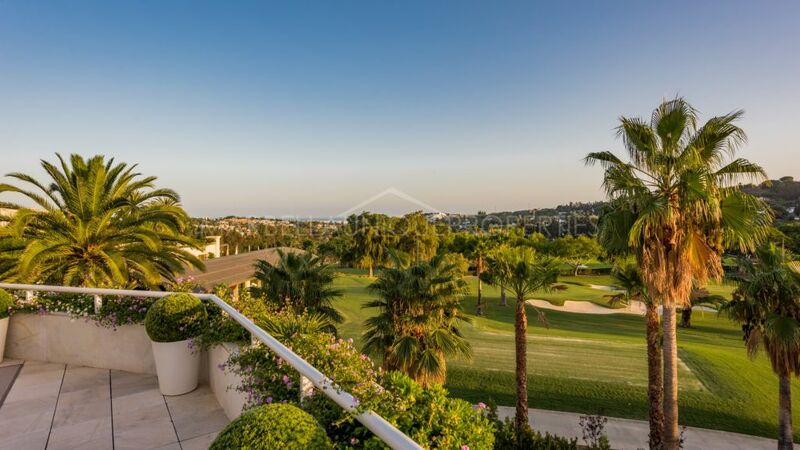 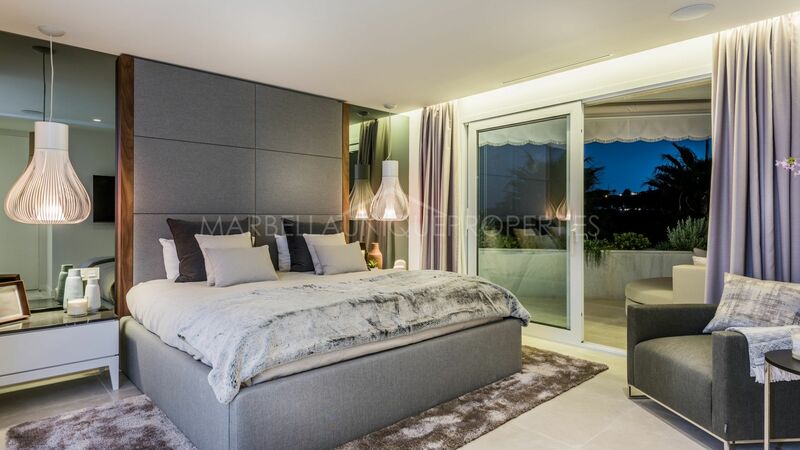 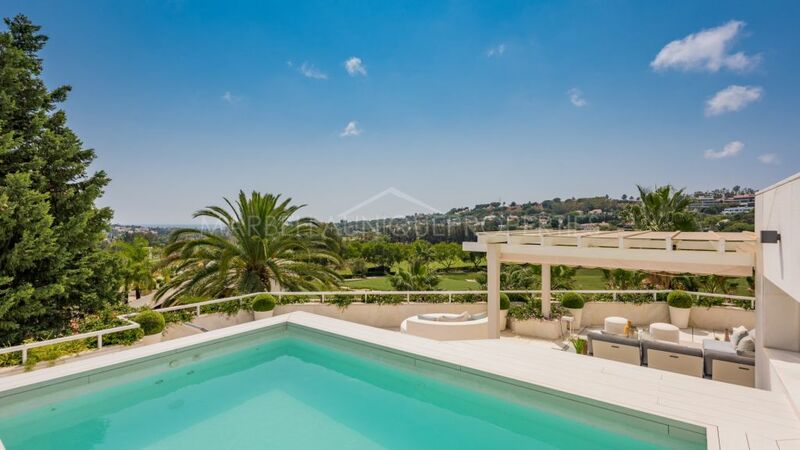 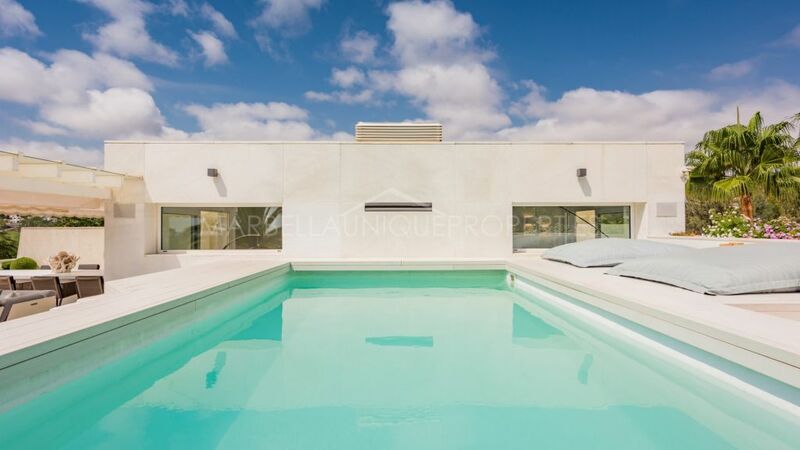 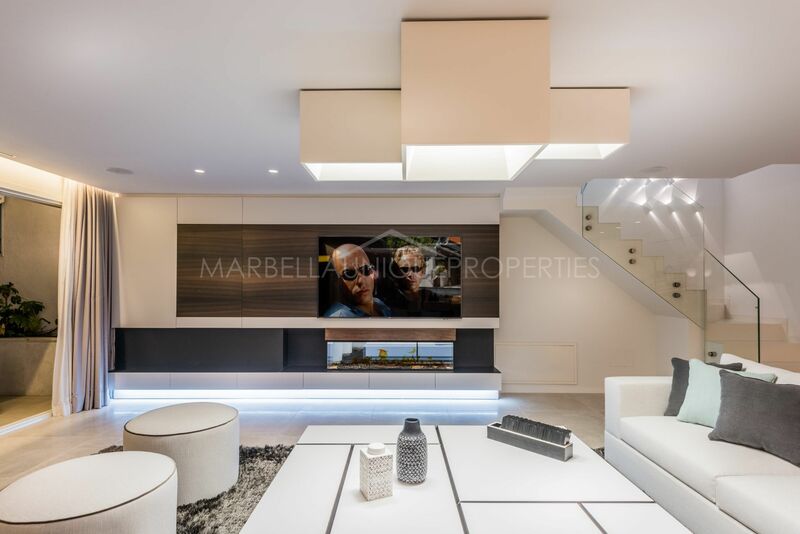 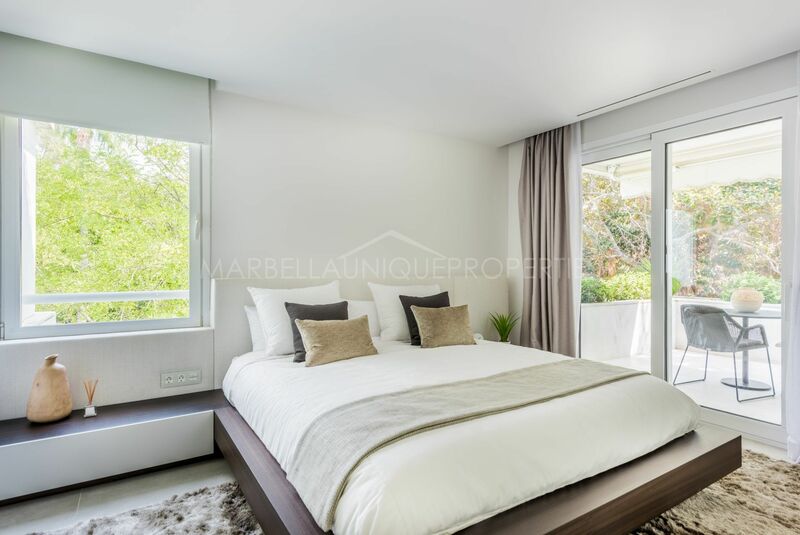 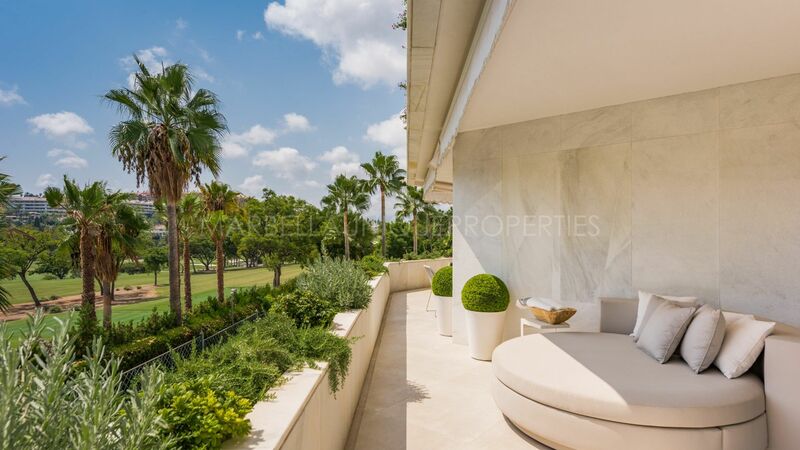 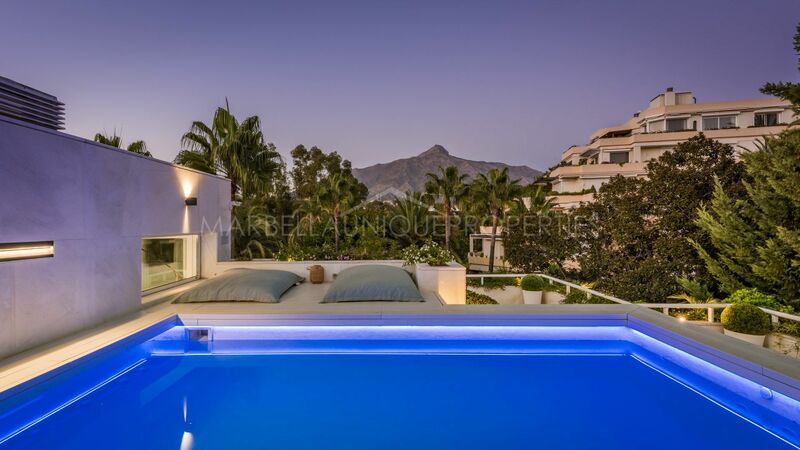 A stunning 3 bedroom duplex penthouse set in the luxury gated community of Los Granados Golf, frontline to Royal Las Brisas golf in Nueva Andalucía. 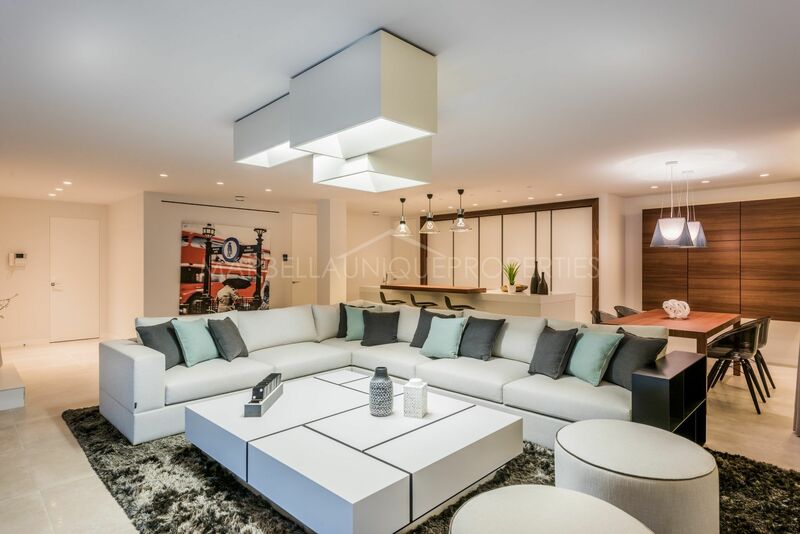 This top quality penthouse has been completely refurbished and finished to extremely high quality standards, boasting a large open plan living space incorporating the living room with bespoke furniture and working fireplace, dining area and Poggenpohl kitchen with Gaggenau appliances. 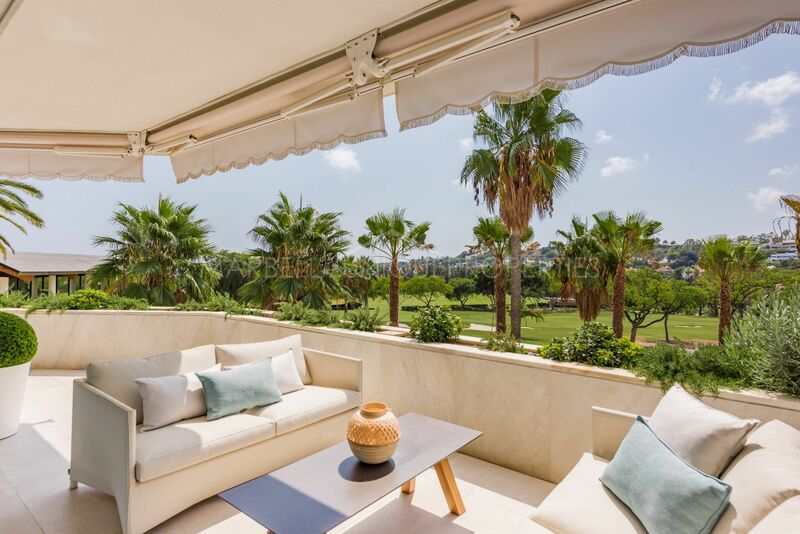 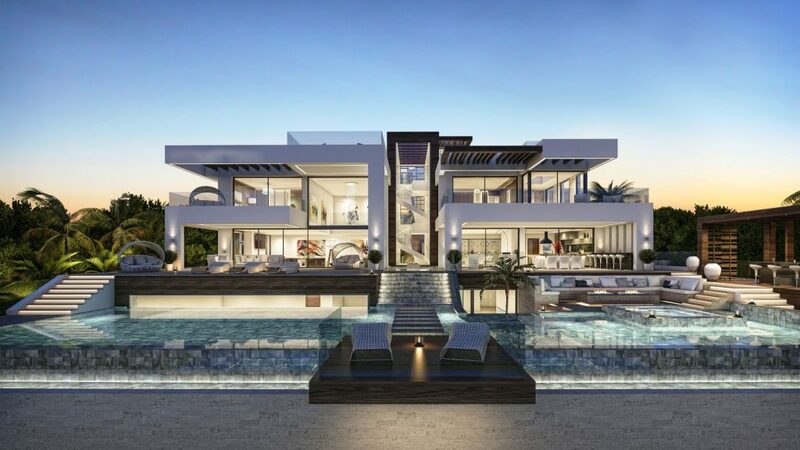 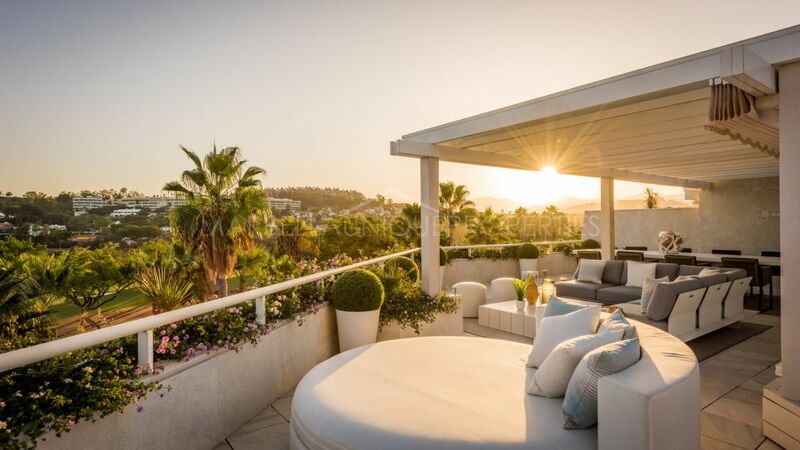 Continuing out onto a beautiful south west facing corner terrace with dining and relaxation areas, overlooking the tropical gardens, swimming pool, golf course and down to the sea. 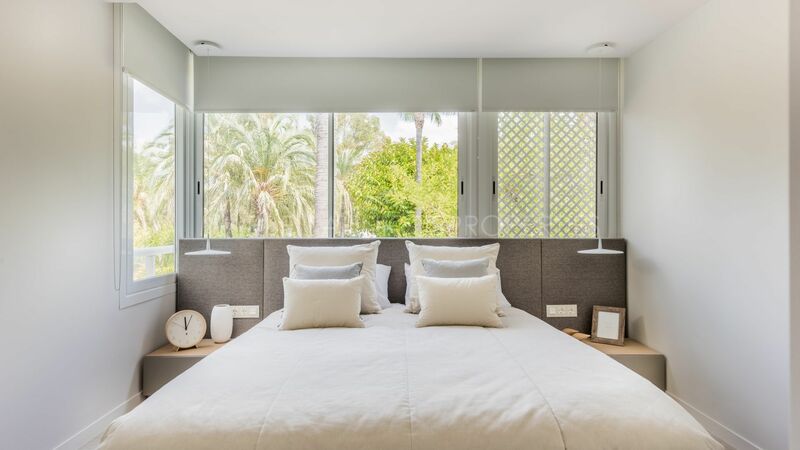 2 guest bedrooms with en-suite bathrooms, 1 with access to a private terrace. 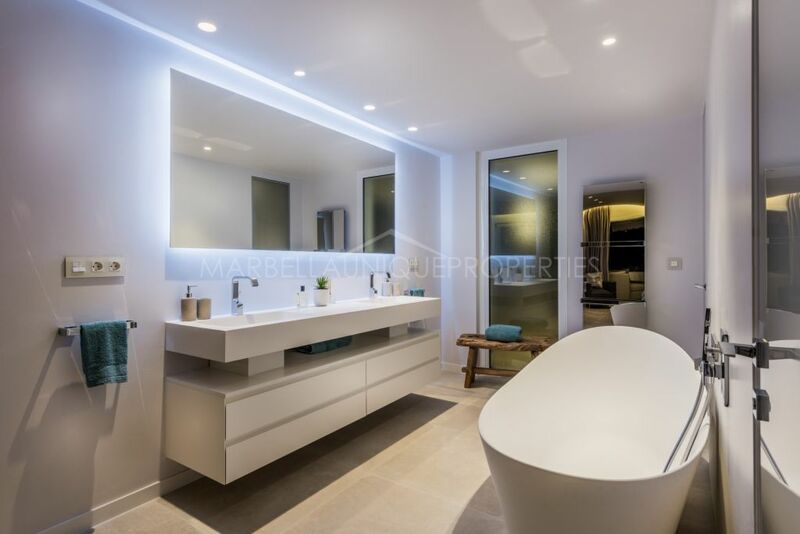 A large master suite with luxury bathroom including independent bath and shower as well as a dressing room, opening out onto the main terrace. 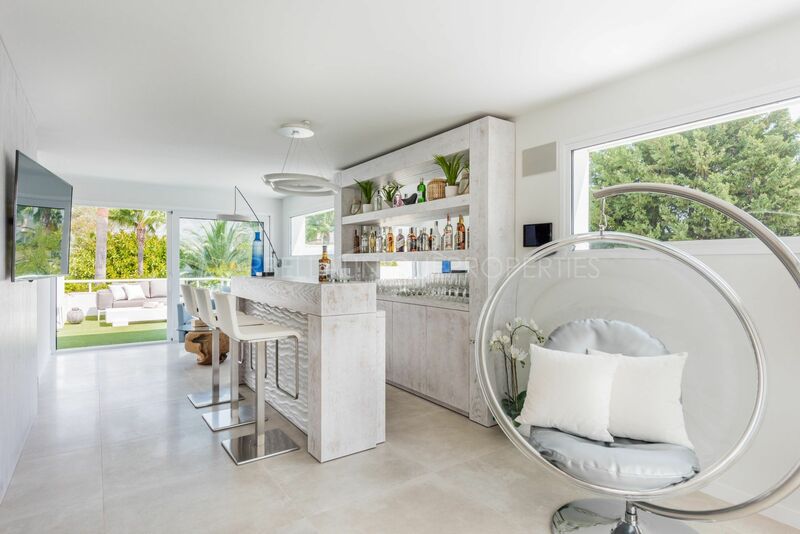 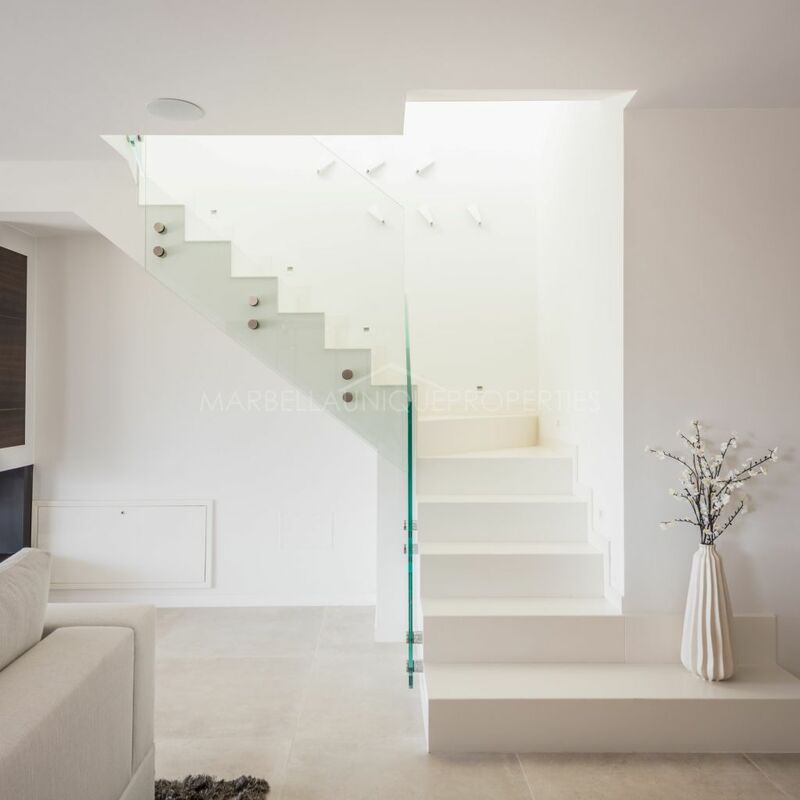 The upper floor offers a beautiful entertainment area with a full bar and seating area, a guest toilet and a large uncovered roof top terrace with private swimming pool, various seating areas and a large dining area, ideal for entertaining. 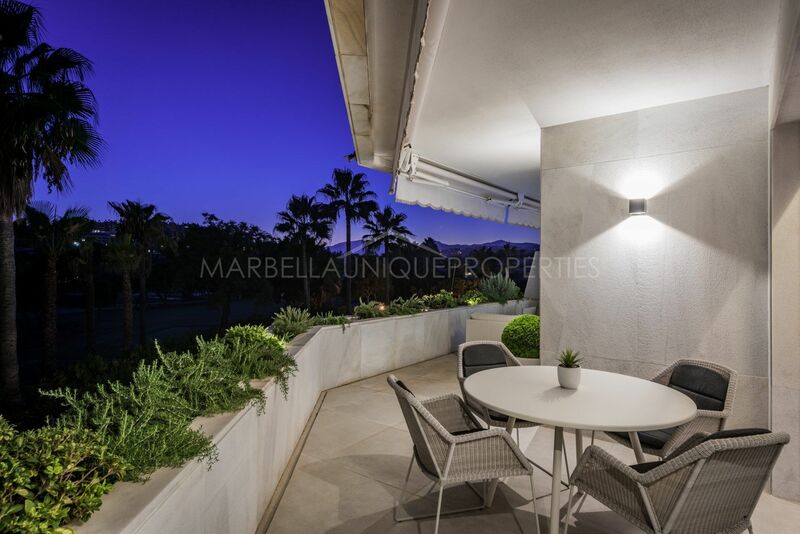 The property is to be sold fully furnished and includes 2 private garage spaces, a golf buggy space and a private storage room. 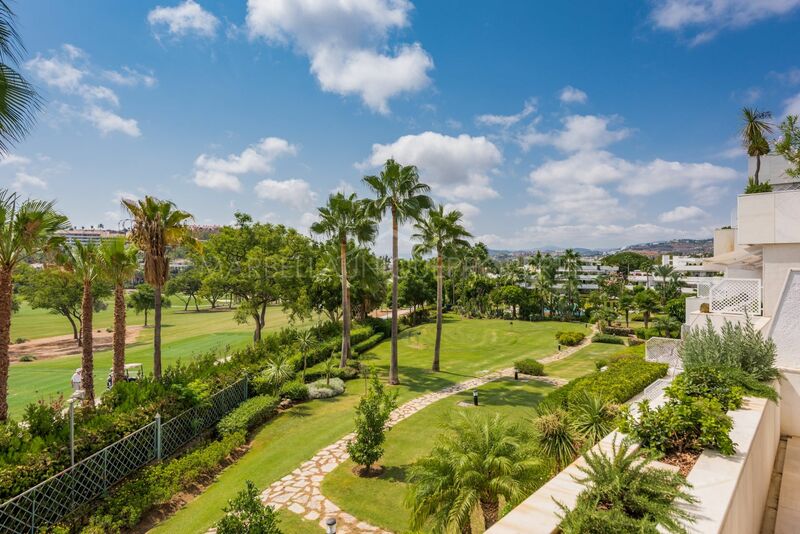 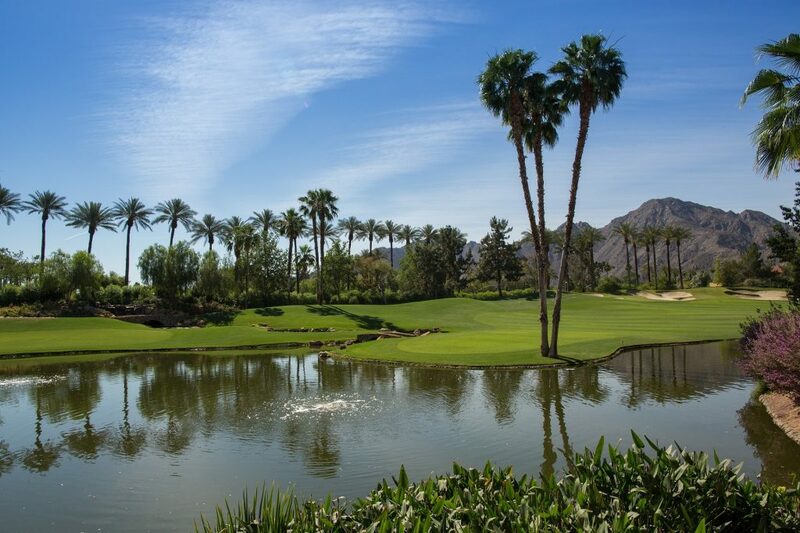 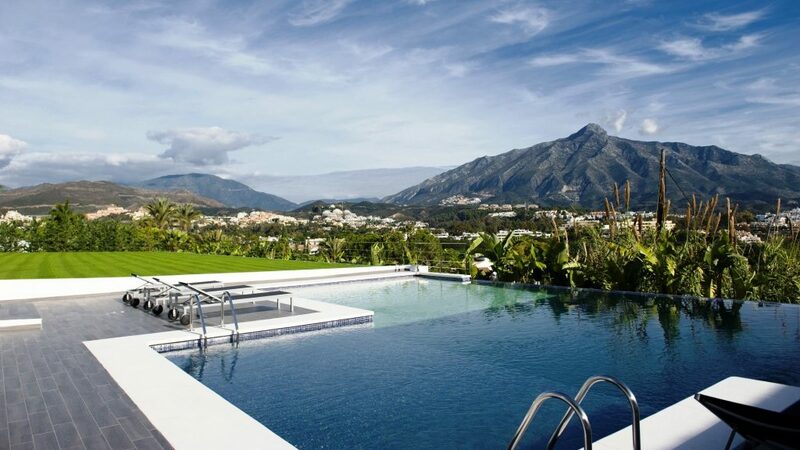 The gated community of Los Granados Golf boasts 24hrs security, indoor heated swimming pool, outdoor lagoon swimming pool, gymnasium and tropical gardens all located frontline to one of Marbellas most famous golf courses. A perfect location for permanent living or as a holiday home, within walking distance of amenities and facilities in the area of Aloha and Nueva Andalucía. 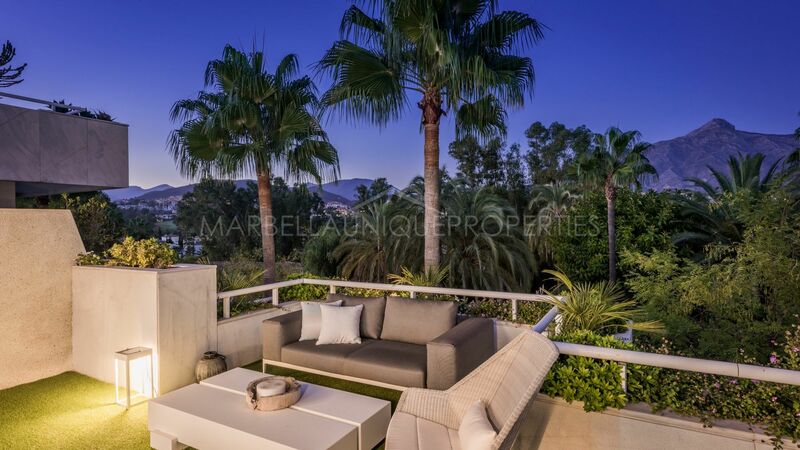 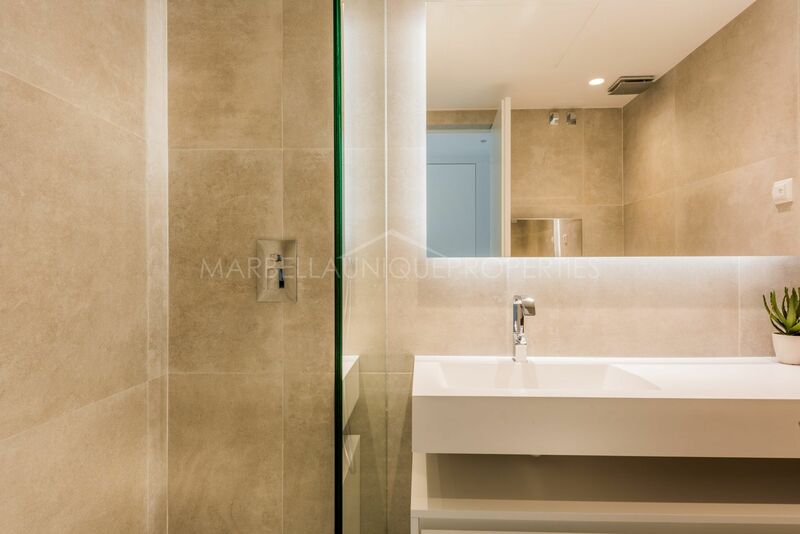 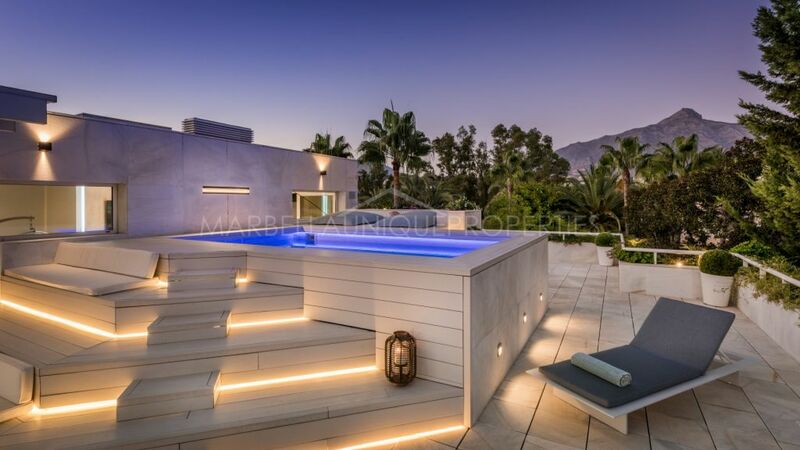 The famous marina Puerto Banus and its beaches are located within a few minutes’ drive from the property. 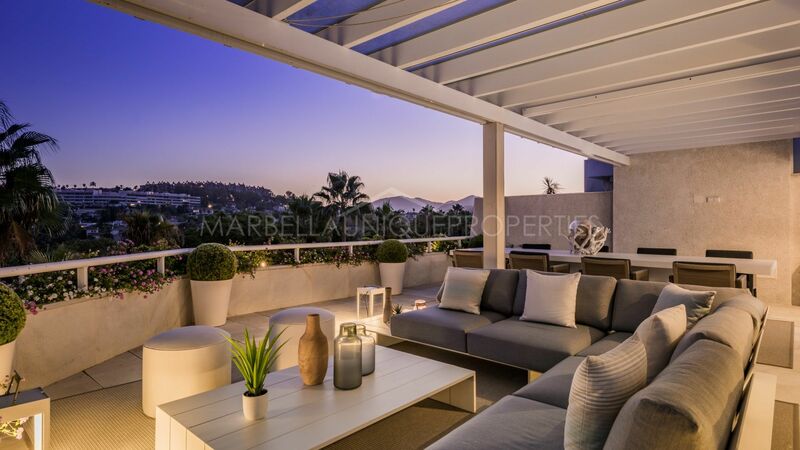 Please, send me more information about ref 239-01134P, Duplex Penthouse in Los Granados Golf, Nueva Andalucia or similar properties.